Connecting the Alumni for Greater Collective Good. Bring all its members closer together and employing the collective power to initiate programmes for further development of the Alumni Association that will be guided by its objectives and charter as approved by the majority of the membership. To encourage, foster and promote close relations between Pakistan and Sri Lanka. To encourage, foster and promote close relations between the Universities and its Alumni. To promote the general interest and well-being of the Universities. To ensure that alumni programmes are initiated and developed for the benefit of both countries, alumni and the Universities. To provide and disseminate information regarding the Universities and its graduates. To conduct welfare activities and projects for the benefit of the both countries. To make representations on matters of importance to the Association, its Members and the Universities. To provide guidance, useful information/tips and contacts for fresh graduates before their departure to Pakistan for their comfortable stay in Pakistan. To explore opportunities for exchange visits by Alumni and their Pakistani counterparts. 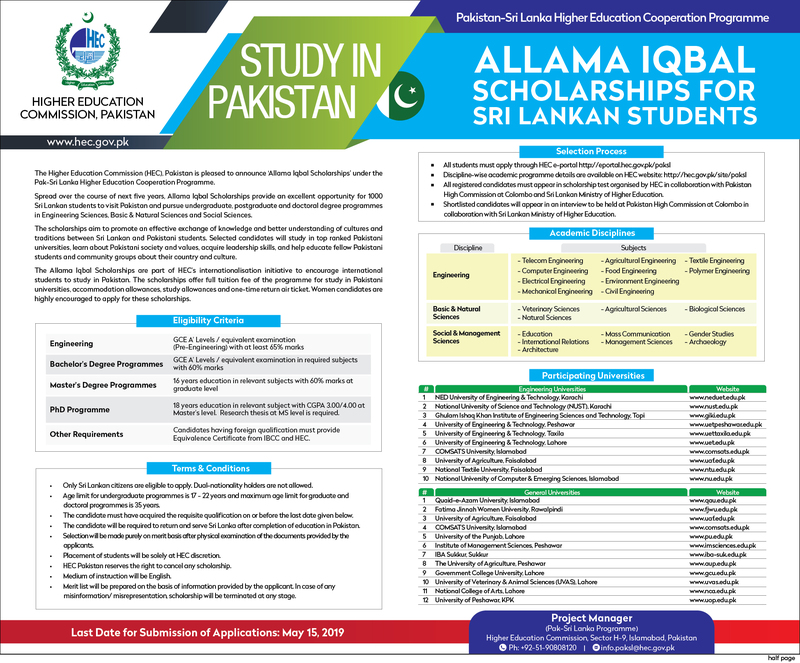 To promote positive image of Pakistan among fellow Sri Lankans. The performance of any other acts for or conducive or incidental to the carrying out of the foregoing objects.